This is an In Person signed 10" x 8" Black and White photograph by the English actor. Mark Christopher Wingett (born 1 January 1961) is an English actor. 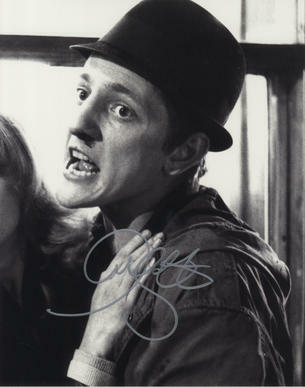 His film debut came in 1979 when he played Dave, a reckless and rebellious mod, in Quadrophenia. Because the film was X-rated, he was too young to watch it legally.